Don't assume you can't get a car loan if you have bad credit or no credit history at all. In-house car financing, or "Buy Here, Pay Here" dealerships, can help you get the car loan that you need. Certain dealerships have the opportunity to finance clients themselves. This eliminates the third-party bank or financial intuition. It can also relax the guidelines, making it a little easier for you to get a loan to buy the car that you want. 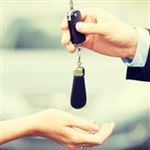 What Is In-House Car Financing? As the name suggests, in-house car financing takes place in the dealership. You do everything from negotiate the price of the car to figure out your loan's terms, all in one place. Some dealerships call themselves the "Buy Here, Pay Here Dealer." In other words, neither you nor the dealer works with an outside bank. 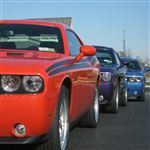 In-house financing dealerships can make their own loan guidelines. This can be good for borrowers with credit scores below 600 or with no credit history at all. Most banks would turn you away. Even some subprime lenders require higher credit scores or high down payments. Dealerships with in-house financing offer the option to create their own guidelines, including focusing on income and employment stability rather than credit scores. What's the Difference Between In-House and Bank Financing? Many car dealerships work with you to get your financing through them. This isn't necessarily in-house financing, though. Instead, it's bank-arranged financing. The dealership forwards your information to their partner banks, which then give the dealer a "buy rate." The dealer then increases that "buy rate" to give you your interest rate. The difference between the buy rate and the rate you pay is the dealer's profit. In-house financing comes directly from the dealer, not a bank. Is In-House Car Financing for Bad Credit? Typically, in-house car financing is for those with bad credit. It could, however, also be a good alternative for those with no credit history or consumers with a high debt ratio. Traditional banks want borrowers with good credit and a low debt ratio. If on paper, you look risky because you have a low credit score and high debt ratio, many banks will turn down your application. In-house financing allows you the more flexible guidelines that the dealer creates. Dealers can have set guidelines for loans or they can go on a case-by-case basis. Because there is a "real" person looking at your qualifying information, you have a better chance of explaining yourself and why you'd be a good candidate for a loan despite your bad credit or other bad qualifying factors. If you turned to in-house car financing because you have bad credit, this loan may not help your credit. It's not that it will bring your score down because you got another loan. Instead, it's because most dealers don't report their car loans to the credit bureaus. Even if you make your payments on time and pay the loan off in full, it won't help your credit score because the credit bureaus won't know about it. Make sure you ask your dealership if they report to the credit bureaus if this is an issue for you. Because the dealer doesn't have to wait for a third-party financial institution to give their approval, you can often get through the finance process much quicker. In-house financing gives dealerships the opportunity to take things on a case-by-case basis. They usually have a set of guidelines, but they can work around those guidelines as they see fit. This could be good news for those who have bad credit but great income or a large down payment. Even though their credit would make them ineligible for a loan, the other factors can make them a good candidate. While many dealers still pull your credit to see where you stand, they tend to put more emphasis on your employment history, income, and the amount of your down payment than your credit score. This can help you get a larger loan with better terms if you have compensating factors that make up for your low credit score. Even if you have to take a higher interest rate than you'd prefer, you may be able to refinance your loan in the future. After you fix your credit, you can try refinancing the loan at your local bank to get better terms. Can You Buy a New Car with In-House Financing? Typically, in-house financing is reserved for used cars. You must buy a car from the dealership providing the financing, which usually means a used car lot. What Are the Downsides of In-House Car Financing? The best interest rates on car loans are usually reserved for those with great credit. Those borrowers usually go to their bank or a dealer's partner banks to get financing. Borrowers who go through the dealership know they aren't going to get the prime interest rates that banks offer; it's a tradeoff for the convenience and flexibility in the guidelines. The finance manager or salesperson handling your loan may talk you into a longer term to keep your payments lower. This just gives them an opportunity to give you a higher interest rate and to make more money over the life of your loan. Try to stick to the traditional 3- to 5- year terms to keep the amount of interest you pay manageable. Since you need your financing from a specific dealer that pre-approved you, the only cars you can purchase are those on the dealer's lot. This could limit your options, especially if you had a certain type of car in mind. In-house financing can be a great way to get the car financing you need. As is the case with any loan, pay close attention to the terms so that you know what to expect. While you can expect a higher interest rate, you don't have to accept unfair terms just to buy a car. Know what you can afford and how much interest the loan will cost over its lifetime to help you make the right decision. Leave a comment about Car Dealerships that Finance Anyone? Share on Facebook "Car Dealerships that Finance Anyone"